Even though deer season remains open in some parts of the country, it’s not too early to start planning for next hunting season. Specifically, application season is rapidly approaching for most of the Western states. So, if you’d like to hunt deer, elk, pronghorn, moose, mountain goat, or bighorn sheep next fall in Arizona, Colorado, Idaho, Montana, New Mexico, Utah, or Wyoming, then pay close attention to the upcoming application deadlines to make sure you don’t miss out on the chance to draw a tag. First up is the Wyoming nonresident elk application deadline on Jan. 31. Wyoming moose, goat, sheep, and bison follow on Feb. 28. Hunters hoping to draw deer or pronghorn tags must apply by May 31. 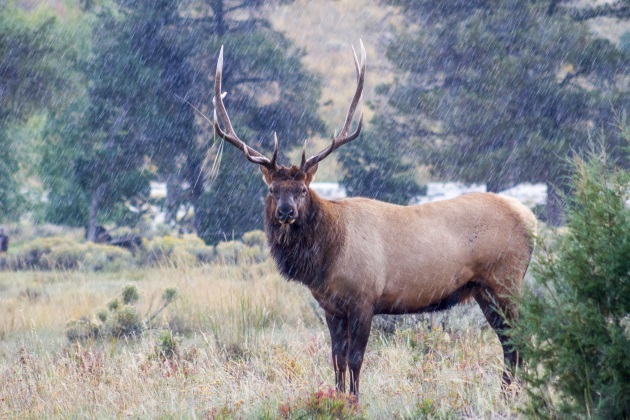 The state should announce elk draw results in late February, moose, goat, sheep, and bison in early May, and the results for deer and pronghorn in mid-to-late June. The Arizona elk and pronghorn application deadline is Feb. 12 while the deer, sheep, and bison deadline is June 11. Hunters fortunate enough to draw a tag will be notified in early March or late June/early July. Utah’s application deadline for elk, antelope, deer, moose, sheep, and bison is March 7. Draw results are normally announced in early May. Arizona and Utah are well known for having outstanding hunting, particularly for elk. However, tags in those states can be pretty tough for nonresidents to draw. Hunters have until March 15 to apply for deer and elk, 1 May to apply for moose, sheep, mountain goat, and bison, and 1 June to apply for pronghorn in Montana. Deer and elk results should come out in late April, moose, goat, sheep, and bison results in mid-June, and pronghorn results should be announced in July/August. New Mexico has a March 20 application deadline for all species: deer, elk, sheep, antelope, and all exotics (oryx, ibex, etc.). The state should announce draw results in mid-April. New Mexico does not have any preference or bonus points and allocates all tags through a random draw. April 2 is the deadline to apply in Colorado for deer, elk, pronghorn, sheep, moose, and mountain goat. The state should announce sheep and goat draw results in early May with deer, elk, moose, and pronghorn results following in early June. Hunters have until April 30 to apply for moose, sheep, and goat in Idaho. The deadline for Idaho deer, elk, and antelope isn’t until June 5. Results for moose, goat, and sheep should come out in early June while deer, elk, and pronghorn tag draw results will be announced in early July. Idaho has a unique tag draw system for two reasons. First, similar to New Mexico, the state allocates tags through a straight random draw with no preference or bonus points. Second, hunters can only apply for a one species when applying for moose, sheep, and goat. Hunters drawn for one of those tags cannot apply for deer, elk, or pronghorn that year. Those characteristics make Idaho a better choice for hunters to draw a high-demand tag in than most other states. Hunters interested in hunting out west should also realize that some of these states (like Colorado, Idaho, Wyoming, and Montana) offer limited over the counter tag opportunities for species like deer and elk. It’s also possible to purchase leftover tags in some states as well. So, don’t despair if you miss a deadline or don’t get drawn. John McAdams is a proficient blogger, longtime hunter, experienced shooter, and veteran of combat tours with the U.S. Army in Iraq and Afghanistan. In addition to his work for MultiBriefs, John started The Big Game Hunting Blog and Big Game Hunting Adventures in order to share his hunting experiences with others and to help them fulfill their hunting dreams. Connect with John on Facebook or feel free to send him a message.